Thank you for continuing to follow our series, “Bed Bugs in Institutions”. In our previous two installments of this series, we have expounded on the basic characteristics of bed bugs, how these insects feed, the fact that bed bugs may result in the development of anemia and/or asthma in humans, and that the most common elimination technique – insecticides – pose numerous hazards to human. You have also learned that the most effective means of combatting bed bugs is by using the new, highly-innovative heat treatments. This week, we will discuss several prevention measures that may be taken to prevent an infestation completely or to reduce the population of an already-existent population of bed bugs. The owners and management team of the healthcare institution must ensure that bed bug prevention and treatment is a priority within the facility. The management team should work with all members of the faculty and staff in order to ensure that everyone is able to identify a bed bug and the signs of an infestation. If at all possible, a source of a present infestation should be identified. If no infestation is present, possible sources for infestations should be identified. Thorough inspections should be performed of the healthcare institution on a regular basis to ensure that an infestation is not developing. The entire facility should be cleaned and completely organized on a regular basis. 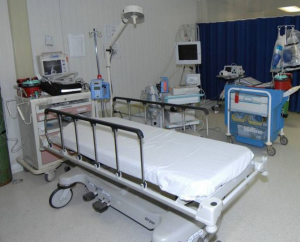 Clutter should be completely eliminated from the healthcare facility. If an area is found to be detrimentally impacted by a bed bug infestation, all clothing, towels, and bedding should be removed. These items should then be washed in hot water and dried at the hottest temperature possible. All clothing, bedding, and towels should be washed in hot water and dried in the hottest temperatures, as a standard practice within the facility. Mattresses, box springs, and pillows should be encased in a specially-designed zippered encasement that is advertised to combat the infestation of bed bugs. The bed frames and the headboards of the bed frames within the healthcare institution should be cleaned on a regular basis. If an infestation is found, it should be treated immediately; however, the use of insecticides should be completely avoided. Instead, heat treatments should be administered. Bed bug prevention and management is a necessity in today’s healthcare setting. This is especially true when it comes to healthcare institutions such as hospitals, assisted living facilities, and nursing homes. The management staff of such facilities must ensure that bed bug prevention, inspection, and treatment are top priorities – especially since the insects are known to result in other health complications. The best method for preventing and treating bed bugs is by using heat treatment. For more information on this type of bed bug treatment, click HERE.